THIS IS FOR SOME IGBOS WHO ARE ALWAYS SCARED OF INVESTING IN BIAFRA LAND AND DISCOURAGING OTHERS FROM DOING SO. 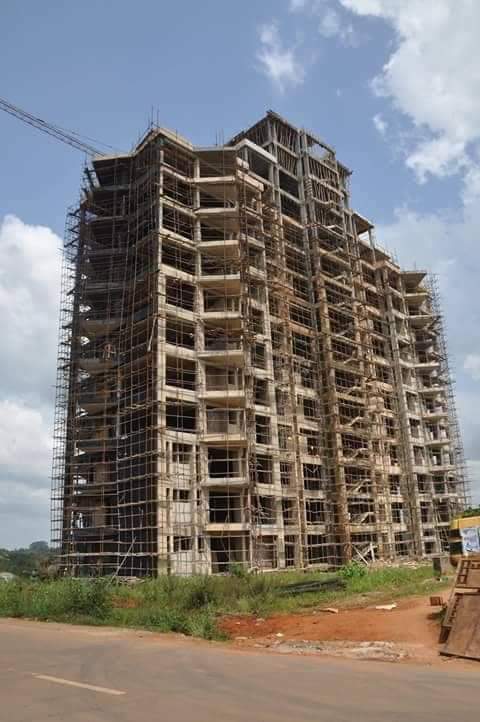 Dr Godwin Maduka has much more investment in Igboland and he is investing more. He is safe and he is not scared. GO HOME AND DEVELOP IGBOLAND! HE CHANGED THE NARRATIVE...! BLESSINGS FLOWING IN THE COMMUNITY AND IN IGBO LAND, THROUGH ONE MAN. *I HAVE NEVER SEEN A PHILANTHROPIST LIKE THIS MAN. Umuchukwu in Orumba south Local Government Area of Anambra State, formerly known as Nkerefi/Nkelefi was hitherto known as one of the backward and remote communities in the state, as it was totally bereft of any meaningful government attention, even to the extent that about 90 percent of Anambra Stare people had never heard about the community...! 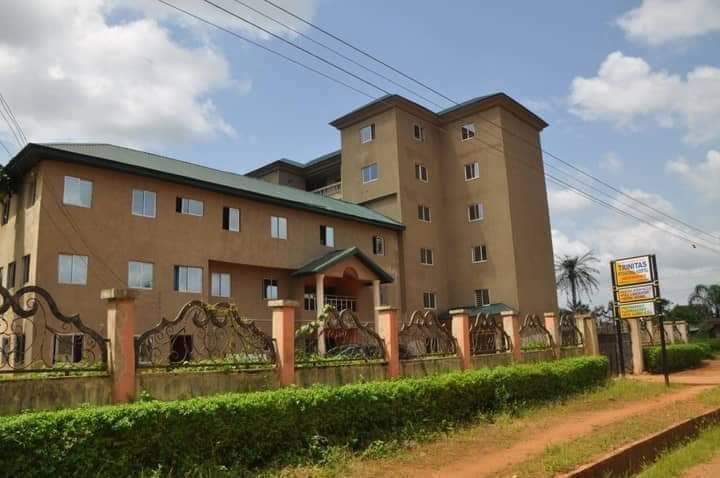 Because of the growing poverty and absence of opportunities, the community was high in criminality, which climaxed with the kidnap of the community’s traditional ruler, Igwe Michael Ukaegbu. But all these negative attributes were changed by one of their illustrious sons, DR. GODWIN MADUKA, a United States of America (USA) based medical practitioner, who through his foundation he set up about 17 years ago, brought projects to the community. When DR. GODWIN MADUKA’s foundation visited the then Governor Peter Obi at Government House Awka, with the pathetic story of the deplorable state of their roads in Umuchukwu, they had elected to bear 50 percent cost of the construction of the roads. This moved the then Governor Peter Obi who visited the community himself and was overwhelmed by what he saw, and then promised that the Anambra State Government would take over the responsibility of those roads. 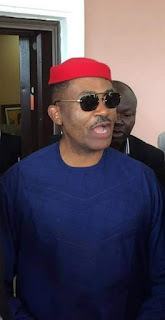 The former Governor of the State, Mr. Peter Obi, had to construct two roads connecting Umuchukwu and other neighbouring communities. 1) 💪💪two churches, one each for the Anglicans and Catholics. (2) 💪💪built Trinity Hospital and Maternity. (3) 💪💪over 100 standard houses for widows and another 94 houses, for the poor in the area. (4) 💪💪Built Immaculate Conception International College 1 and 2 , with buses donated to them. (5) 💪💪he built a police station and A Police Area Command for security. (6) 💪💪he built a magistrate court, with fully furnished Judges Quarters, with 24 hours voltage supply. (7) 💪💪a standard market called (Afor Market), . (9) 💪💪built two monasteries for churches. (10) 💪💪built community centre (Community Hall and his own Village Hall). (12) 💪💪built a state high court. (13) 💪💪provided 8 transformers to boost electricity in the community. (14) 💪💪built mighty edifices for primary and secondary schools. (15) 💪💪built a palace for the monarch, civic centre,. 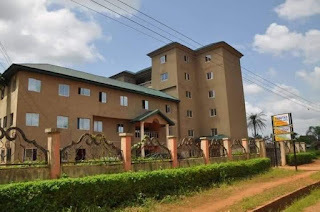 (16) 💪💪built houses for clerics of Catholic and Anglican churches, among others. (17) 💪💪built Five star hotel known as Lion of Africa resort. 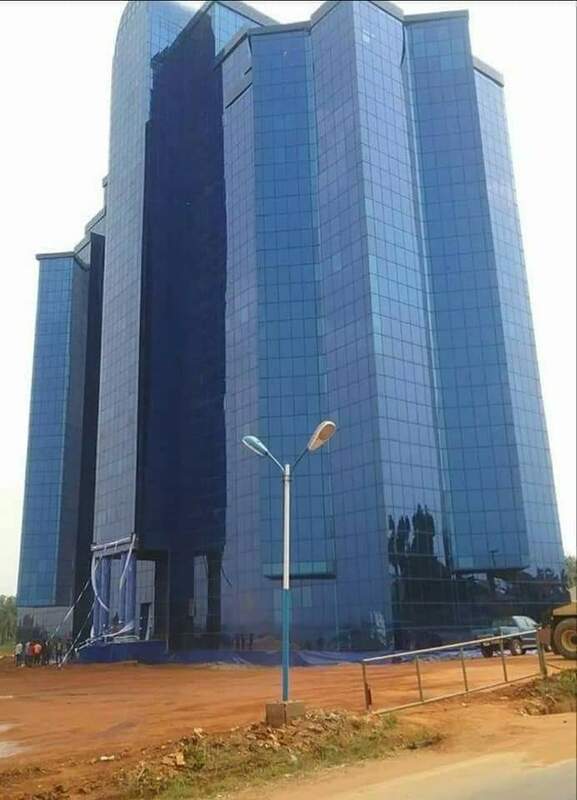 (18) 💪💪the 17 storey tall building is part of the World class International standard Hospital / Health research institute (which will serve as the destination of all health matters in Africa, since it will be the biggest and the best of it's kind on African soil). This should serve as an endless public shame to the Federal Government and State Governments and all self serving Business Moguls and Private/hidden Billionaires in Igbo Land and in Nigeria at Large..! Remember, DR. GODWIN MADUKA is not the richest man in Igbo Land, Nigeria and/or Africa, but he is the richest in Heart. “Today, there is no more thatched house in the community. DR. GODWIN MADUKA has replaced every thatched house in the area with three or four bedroom bungalows." 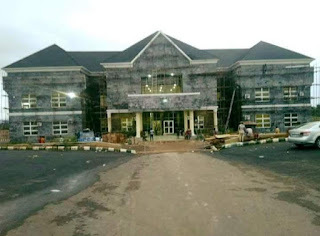 To help fortify security in Umuchukwu, DR. GODWIN MADUKA built four two-storey buildings for police stations, complemented it with a bungalow as officers’ mess, and another structure to serve as operational base for the men of the Special Anti-Robbery Squad (SARS) which he donated to the Nigeria Police. Dr. GODWIN MADUKA also built headquarters for the Nigeria Security and Civil Defence Corps (NSCDC). DR. GODWIN MADUKA has also sponsored hundreds of students from his community, and has also helped to get them jobs. DR. GODWIN MADUKA built Vocational center for those who want to learn handiwork. DR. GODWIN MADUKA vowed to make his community look good, like Las Vegas in USA, before he will finally come home to settle. My prayer is that Igbo people ... people of SouthEast, SouthSouth, MiddleBelt, SouthWest, NorthEast, NorthWest should learn from this man and go back to invest at their villages and/or communities. Let everyone make his village and/or community his own Las Vegas. With this every village, every community, and all communities across Nigeria will be developed ... just like what we have in the western/developed countries. If you are rich, prove it by the number of the community projects you have built successfully for your village and/or community in Anambra state, in the SouthEast, SouthSouth, MiddleBelt, SouthWest, NorthEast, NorthWest ... in addition, show the number of people you have trained through formal education or skill acquisition. If you are rich and you cannot show community project(s) you have successfully completed and given to your village and/or community, and you cannot show the people you positively changed their lives in your village and/or community ... kindly hide in shame, and never say loud to anyone that you are a citizen of the village or citizen of the community. You should be ashamed of yourself. Now, rise and join the number of philanthropist to build your village and/or community. Let us stop hoping on government alone, which is obviously epileptic...!. A Charismatic Legendary Doyen, Happily Married to A Beauty Queen of Many Virtues and Blessed with extraordinary Children. Copied from Ugochukwu Georgemac Ibegbulam Onyeiwu wall. This is the kind of thing I will be glad to do to the glory of God.May Dr. Manuka live long and healthy and happy and may God grant the grace to continue to bank in his kingdom. He is a clean may blessed to bless humanity. One day if opportunities offer I will visit this village of the Christian. Onyeoma Ka I wu. Ndi otu anaghi eme udi ihe a I mere. Publisher thank u for this gospel. It is worth it.